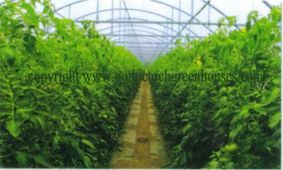 The greenhouse type AT High Tunnels, are the most simple and economical model. Concrete is not needed with its simple and quick assembly system, which makes it possible to move the greenhouse without much effort. Thanks to its design, it is also possible to place it on lands with marked slopes. 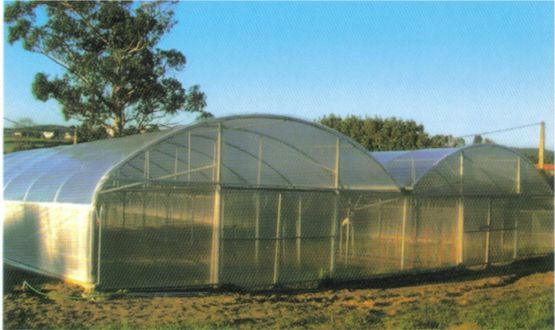 The wide open gable fronts of this model together with the possibility of using top windows achieve an effective ventilation inside the greenhouse. The AT High Tunnel is the ideal model for regions which has an overall soft climate where the summer does not reach high temperatures. *Central gutters designed with end 8 folds and gutters designed with 7 folds for superior strength and an increased ability to gather and funnel off condensation. 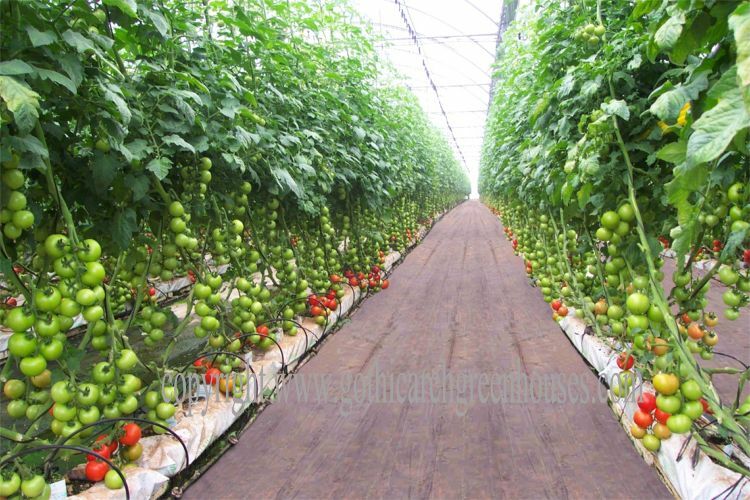 All this leads to improvements of the conditions in general and together with a rigid structure it will allow the use of all types of cultivation. 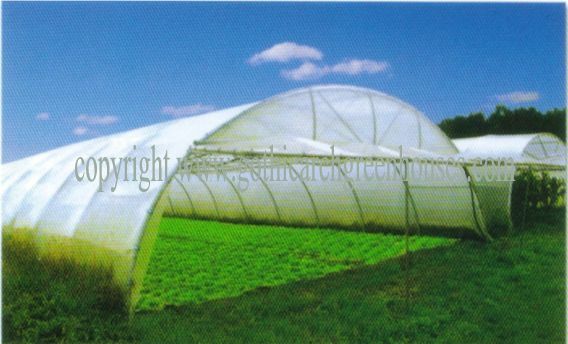 With its Gothic shaped dome, the Multi AT Gothic Greenhouse is able to obtain a bigger volume of air, which is beneficial for any type of cultivation, resulting in a bigger production, with more uniformity and a higher quality. 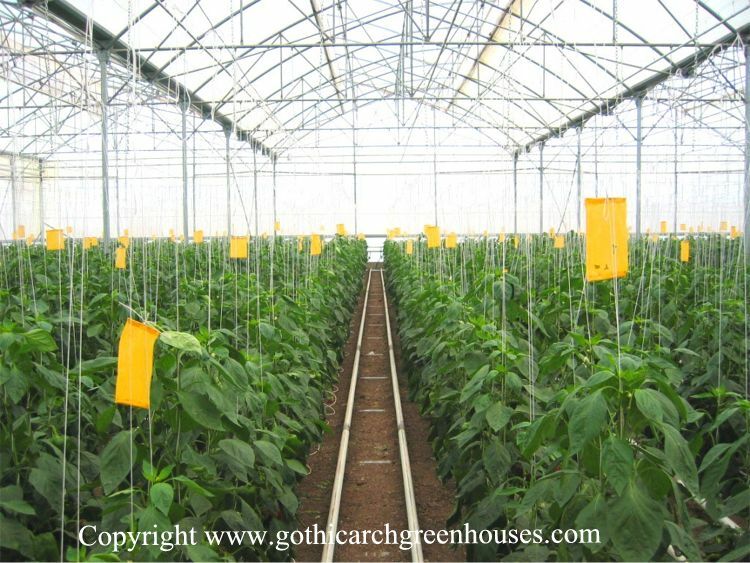 The top vents in the Multi AT Gothic Greenhouses are situated in a higher location than the traditional oval-shaped Multi AT Gothic Greenhouse greenhouse, allowing a better air ventilation and evacuation of the condensation. 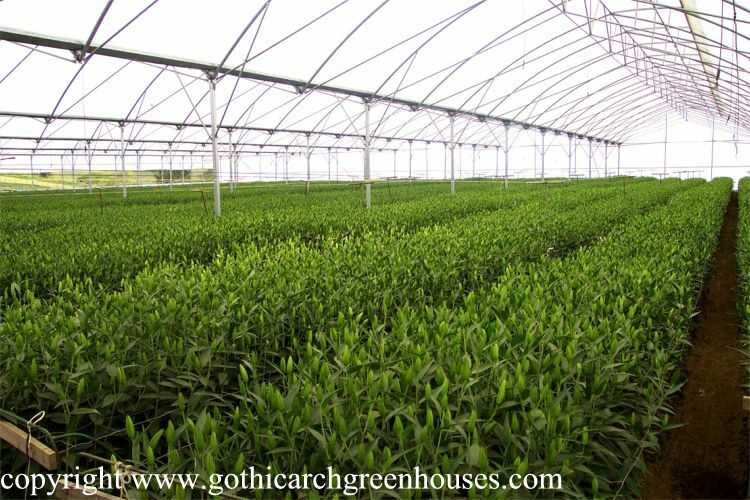 In the Multi AT Gothic Greenhouse , the angle in the roof gives a better light transmission. The Multi AT Convertible is ideal for those companies that want to invest moderately for the time being. 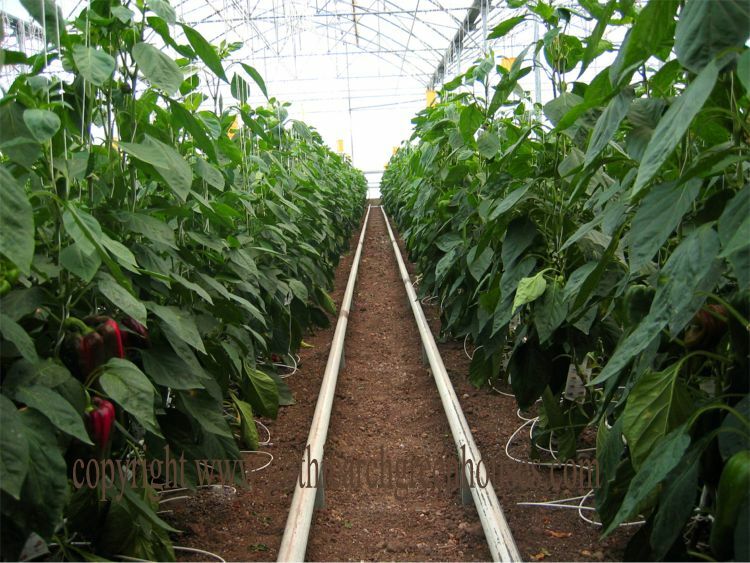 It is possible to automate this greenhouse in the future to the convenience of the client. It has an option to leave the top windows always fixed open. If there is the need to automate them in the future, only the required elements needs to be added in the current model to operate it automatically. The form of the arch of the Multi AT O.C.V. is similar to the Multi AT GOTHIC. The difference between both models is that the structure of the Multi AT O.C.V. is lighter in weight, It is designed to use in areas where there are no strong winds. It has the same advantages as the Gothic model and it allows the use of all the additional equipment in the climate control. The top, side and front ventilations can optionally be used manually or automatically. The Multi AT P.V. greenhouse is a variant of the Multi AT O.C.V. and is characterized mainly by its fixed top ventilation. This model is designed for areas with a soft climate during the whole year, where the winds are moderate. One of the big advantages of the greenhouses One of the big advantages of the greenhouses Multi AT O.C.V. & P.V. is their price due to the structure which is lighter in weight, without stopping to be sufficiently strong to support winds of up to 112 km/hour. O.C.V. & P.V. is their price due to the structure which is lighter in weight, without stopping to be sufficiently strong to support winds of up to 112 km/hour.